Even though it is late in the season, there was some late asparagus available from the Iowa Food Co-op that I am a member of. I couldn't pass up on making my favorite cold asparagus salad for dinner one night. You could also add protein and make a complete meal if you wanted too. This is perfect for those super hot days in September. (Insert sarcastic tone). Preheat a grill to around 400 degrees. Steam the asparagus so it is al dente. 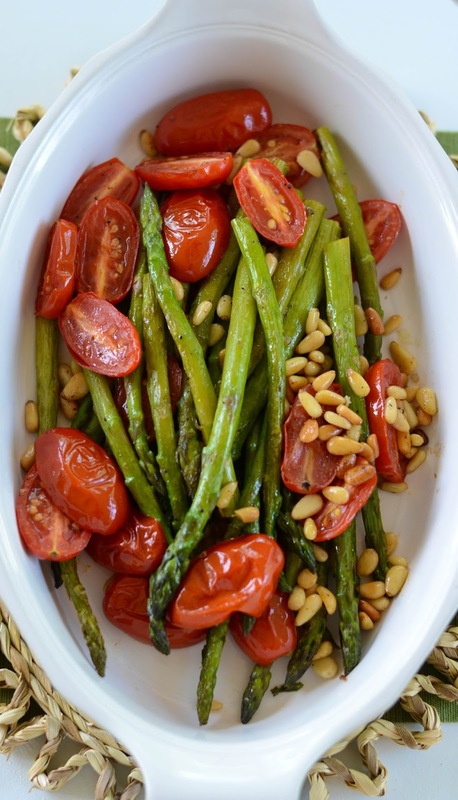 Quickly remove the asparagus and place in a grill basket with the tomatoes. Grill until the asparagus is tender and the tomatoes start to blister. Remove and allow to cool. Mix the lemon juice, olive oil and mustard with a whisk, adding additional lemon juice to taste. Then salt and pepper to taste. Place the asparagus, tomatoes, pine nuts and lemon zest in a large long bowl. Pour dressing over the top and using hands fold the mixture together so the dressing evenly coats the asparagus.